​In the past year, I have received many requests to find and review books on pattern making and this is one of those books. I found it accidentally by looking at some books that were on sale and decided to buy it and see if there is something a self-taught designer could use. ​The book has 96 pages with a nice, simple design and clear layout. 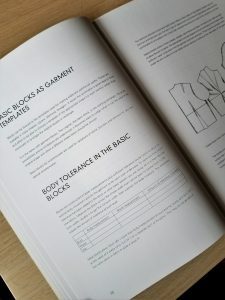 The main goal of this book is to develop basic design blocks for different garments. 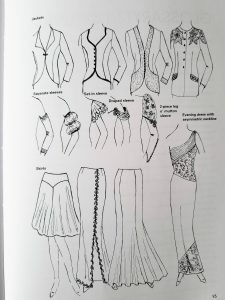 Besides learning to create basic blocks, you will also get information on how to mix and match the design elements in order to create unique eveningwear pieces.There are also tips on combining modelling and pattern-cutting techniques and working with stretch fabrics. ​Every chapter comes with clear step-by-step instructions and informative diagrams. 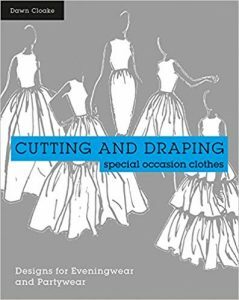 ​The books presents a complete guide to pattern cutting for party and eveningwear. 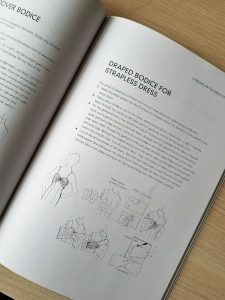 The patterns represented are for very close-fitting bodices and other dramatic features found in evening wear.The book instructs how to develop basic blocks into dress and jacket blocks and blocks for stretchy fabrics. ​At the beginning of the book you can find a list of materials needed, a set of basic blocks , how to take measurements and a little bit about fabrics and trimmings. 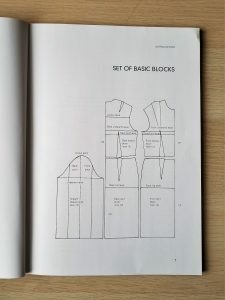 ​The section on basic patterns explains why the basic blocks and commercial pattern shells need to be adjusted for special occasion clothing. If you work in a design room, it is good to invest in starter blocks fr advanced styles for permanent use. This way you would avid pattern cutting decisions and extra construction time and the work would be faster and more efficient. ​Although flat pattern cutting and draping on a model are two different techniques, they can be combined for great benefit in the design room. Sometimes part of the garment is much easier to do on a stand than flat. Ruched panels, bust shaping and draped tops are demonstrated as part draped and part flat cut designs. 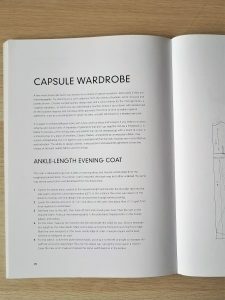 ​At the end of the book, you can find the chapter about capsule wardrobe. It explains how to mix classic garments in beautiful fabrics to cover a variety of evening and day occasions. ​If you are a fashion designer and are focused on designing dresses and evening wear, this book would be a great reading material for you. The construction blocks are explained in a clear and simple way so it would be appropriate for beginners in pattern-making as well. 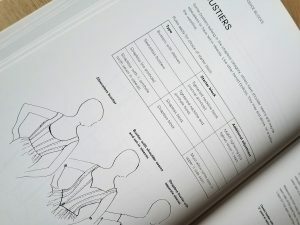 ​It is very useful to have the part about stretchy fabrics as a reference and I really like the part on capsule wardrobe at the end. The book would also make a good reference for teachers and everyone working in design and manufacturing process. ​Another great thing is that all the adjustments suggested for blocks can be applied to commercial patterns so it is also useful for home dressmakers and sewers.